Anatolia Youth Program runs from November to April. 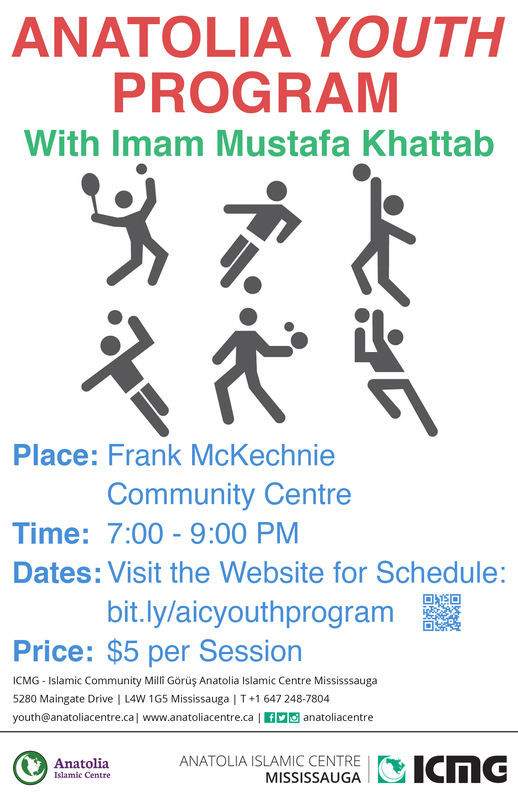 This program includes various sports activities interspaced by prayer and a short reminder by Imam Mustafa. Pizza is served on occasional days. The program is open to for boys and girls. CONTACT: For more information, contact us at youth@anatoliacentre.ca or Brother Fettah at 647-248-7804. DATES: Please refer to the table below for the dates.